Pok Choy is a delicious vegetable that can’t decide whether to be a salad or a cabbage. It belongs to the same plant family as the stout cabbage. Instead of forming a round head, it has spoon-shaped large leaves that make the plant look a bit like a romaine lettuce or a chard. 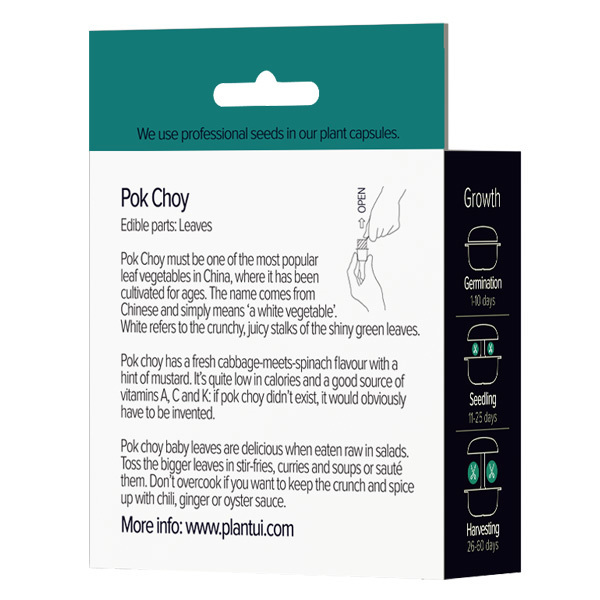 Pok Choy must be one of the most popular leaf vegetables in China, where it has been cultivated for centuries. It was probably introduced to Europe some time in the 18th century. The name of pok choy comes from Chinese and simply means ‘a white vegetable’. Whiteness refers to the crunchy, juicy stalks of the shiny green leaves. Pok Choy has a nice, fresh cabbage-meets-spinach flavour with a hint of mustard. It’s quite low in calories and a good source of vitamins A, C and K: if pok choy didn’t exist, it would obviously have to be invented. The whole plant is edible. 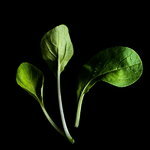 Seedlings and baby leaves are delicious when eaten raw in salads. The bigger leaves taste very good after a short cooking time. Use pok choy in stir-fries, curries and soups or sauté them to a tasty side dish. Don’t overcook if you want to keep the crunch and experiment with spices like chili, ginger or oyster sauce.